I got this seed via the North American Rock Garden Society’s seed list. The donor said it had been collected on Mt. Kiliminjaro which spelt a lot of romance for me. However the plant doesn’t live up to romance or the good reputation of salvias. It is a small plant which tends to be weedy, self seeding, and flowering briefly with small pale blue flowers. 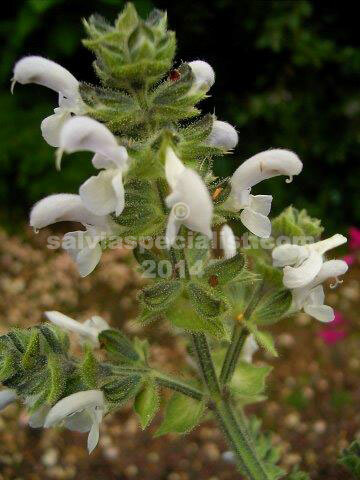 It probably has some medicinal uses as most of the African salvias seem to have but otherwise it is a collectors’ plant.